Newmont Mining (NYSE:NEM), the world’s No.2 gold and copper producer, sent a bullish message to the market Wednesday by raising its forecast bullion production for 2018 while lowering expected costs. The US miner also said it expected to hike its dividend by at least 50% next year, based on balance sheet improvements and the performance of its gold mines. Newmont sees gold costs applicable to sales dropping between $700 and $750 an ounce next year. Newmont had previously forecast costs of between $700 and $800 an ounce. It also expects to boost its dividend by at least 50% next year, based on balance sheet improvements and the performance of its gold mines. The company expects costs to decrease even further in 2019, to between $620 and $720 an ounce, and between $650 and $750 per ounce longer term through 2022. The Denver-based firm also increased its attributable gold production expectations for 2018 to between 4.9 million and 5.4 million ounces from a previous forecast of 4.7 million to 5.2 million ounces. 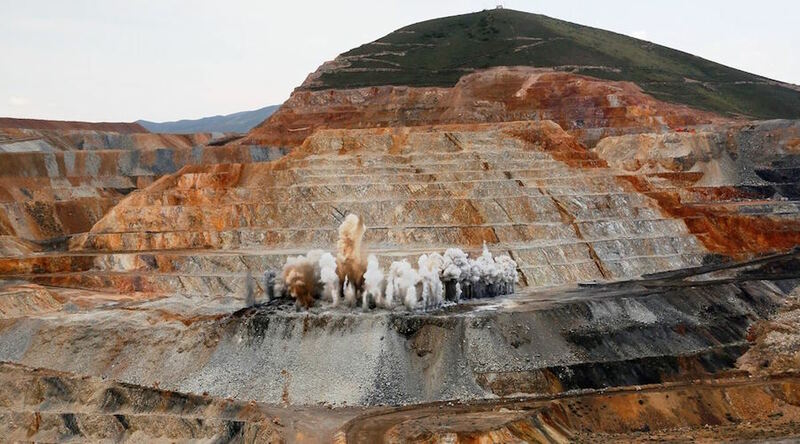 Newmont said it also expected attributable gold output of 4.9 million to 5.4 million ounces in 2019, and the same range it expects for 2019, and 4.6 million to 5.1 million ounces a year through 2022. “Our five-year guidance reflects steady performance, portfolio and balance sheet improvements, and gives us the means and confidence to target a dividend increase of at least 50 percent in 2018,” president and chief executive Gary Goldberg said in the statement. This year alone, the miner has increased its exploration and advanced projects investments by about 25%, with roughly two-thirds of that amount going to fund more brownfield and greenfield exploration. As of Dec. 5, Newmont — the only gold company that forms part of the S&P500 index — had a market capitalization of $19.3 billion. Shares in the company were slightly up (+0.41%) to $36.35 in premarket trading by 8:50AM ET..